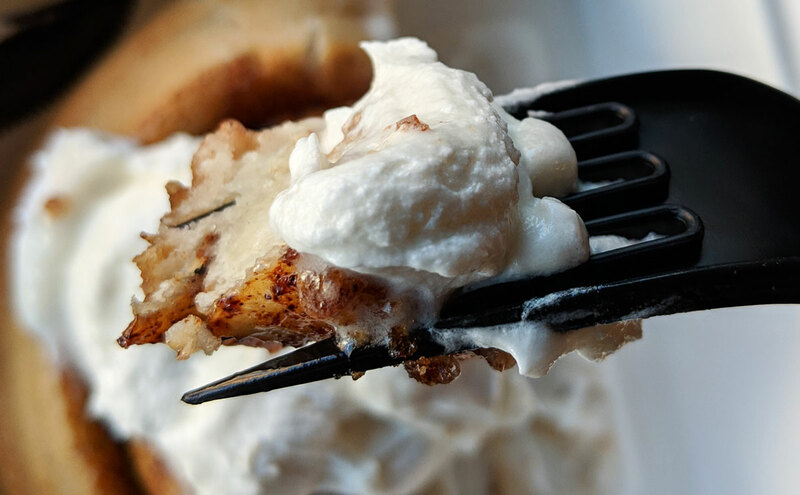 The cinnamon roll from Cinnaholic is shockingly good. Not that it’s the best cinnamon roll I’ve ever had, but it’s vegan. You’re bracing for the worst when you hear that a traditionally dairy-heavy dessert has been made vegan. How could that possibly end well? 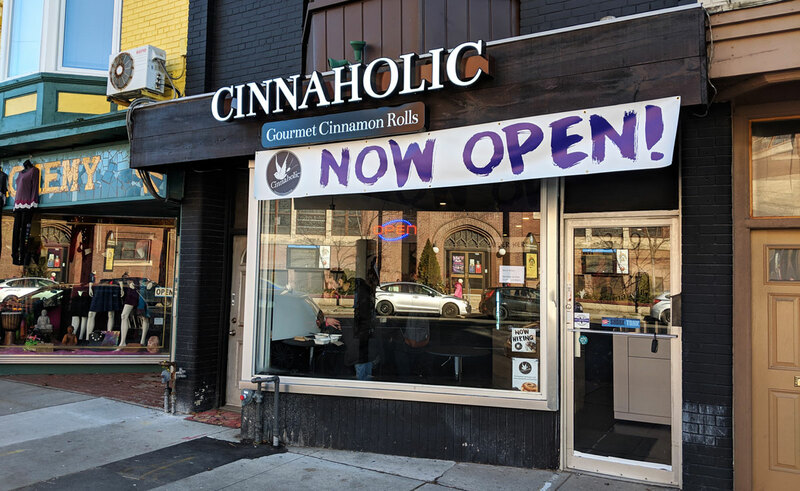 Cinnaholic, somehow, pulls it off. 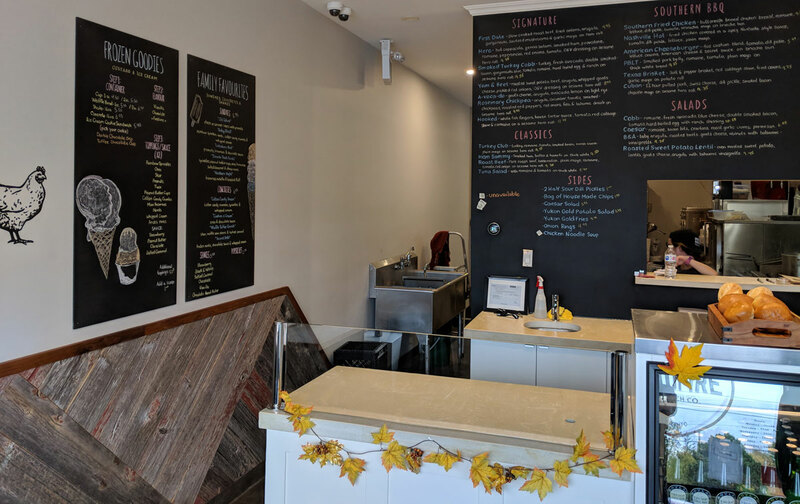 It’s an interesting set-up; they have a few dozen different frosting and topping choices (if there’s a dessert topping you can think of, they probably offer it here). I wanted to see what the deal was with the roll itself, so I went as simple as possible with the “Classic Old Skool Roll,” which is topped only with vanilla frosting. I won’t lie: I was expecting it to be dense and dry and weird, but it was pleasantly light and fluffy, with a nice cinnamon flavour and a great level of sweetness. 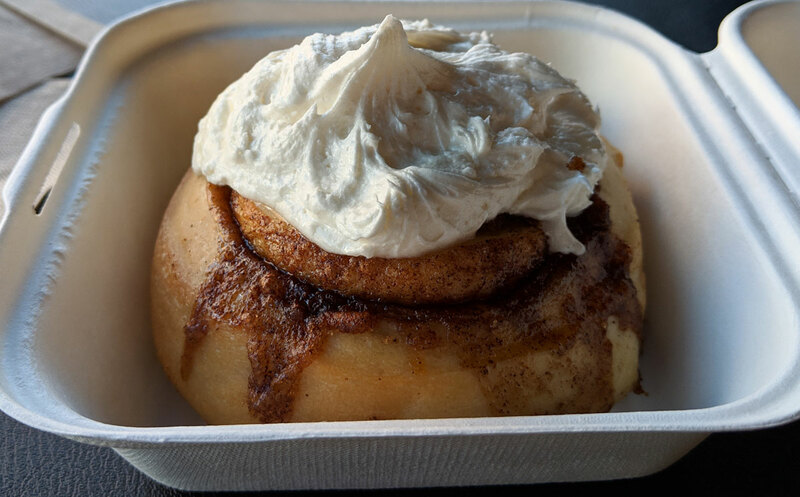 It’s very, very sweet, but it’s not quite the throat-burning assault of sugar that you’ll get with something like Cinnabon. The frosting is quite tasty, too — it’s rich and creamy, but also incredibly soft and light. I have no idea how they achieve that texture without dairy (I’m assuming margarine is involved), but whatever it is, it tastes pretty darn good. That’s the surprising thing about it. Yes, it’s vegan, but it’s not good for a vegan dessert; it’s good, period. Taiyaki — a fish-shaped, waffle-like dessert that’s traditionally filled with tasty custard or red bean — is great. What’s not to like? It’s delicious. 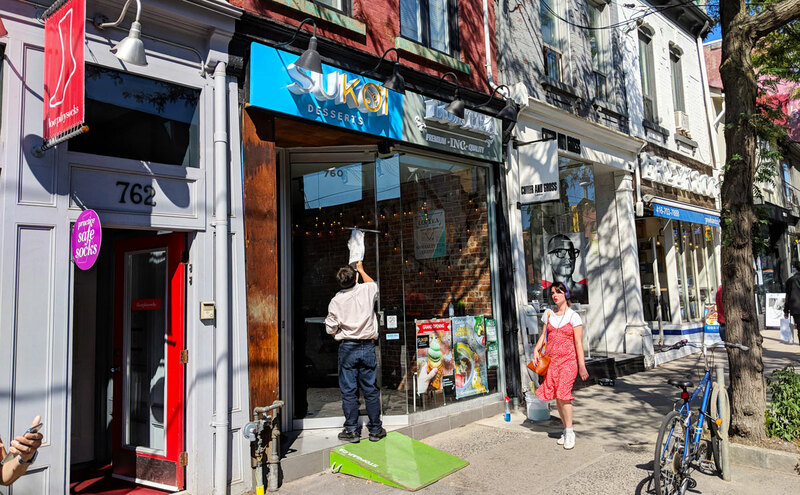 But I was a little bit concerned that the taiyaki cones they’re serving at Sukoi Desserts might be one of those looks-first, taste-second Instagram-bait creations that have been popping up all over the city. 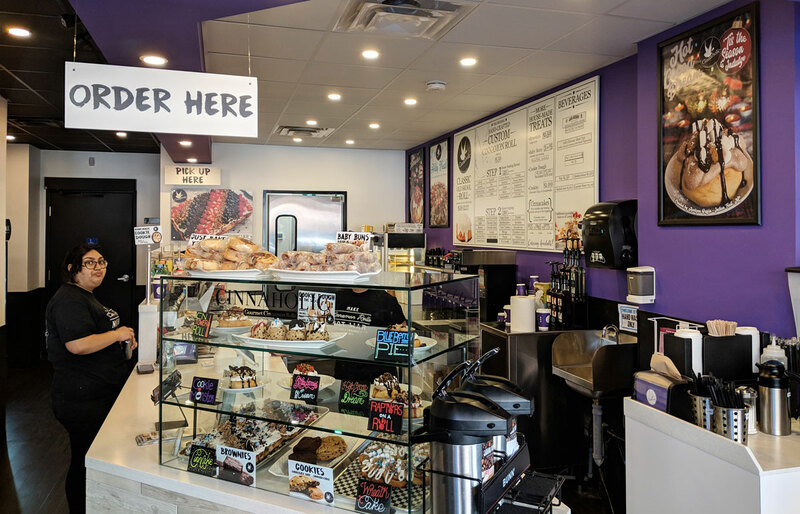 The fact that I overheard the owners discussing the cost of bringing “influencers” to the shop certainly didn’t instill confidence. 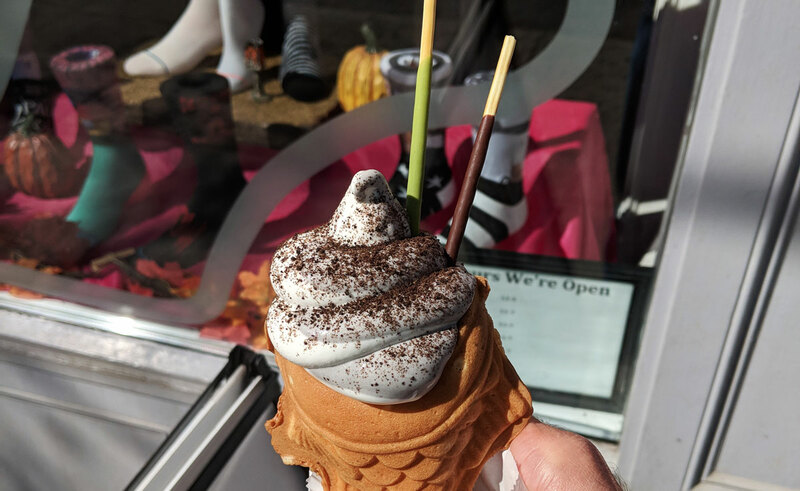 You can customize your cone in a few different ways — the ice cream (they had black sesame and vanilla when I went), the filling (red bean, custard, or Nutella), and the topping (chocolate cookie crumbs, graham cracker crumbs, or sprinkles). I got a black sesame / vanilla twist, a topping of cookie crumbs, and a filling of red bean. It wasn’t the best thing I’ve ever eaten, but I wouldn’t call it empty Instagram bait, either. 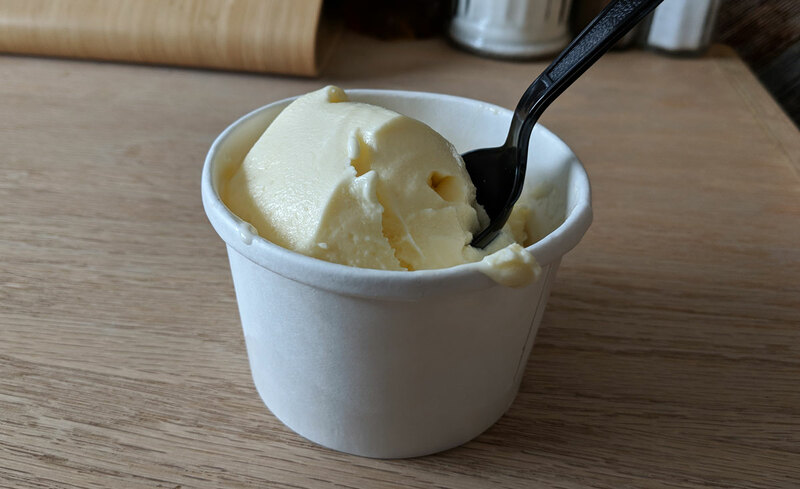 The ice cream was fine — it had a pronounced sesame flavour and an enjoyably subtle sweetness. It was a little grainy and not particularly creamy, but it wasn’t bad. I enjoyed it. The taiyaki was easily the highlight. 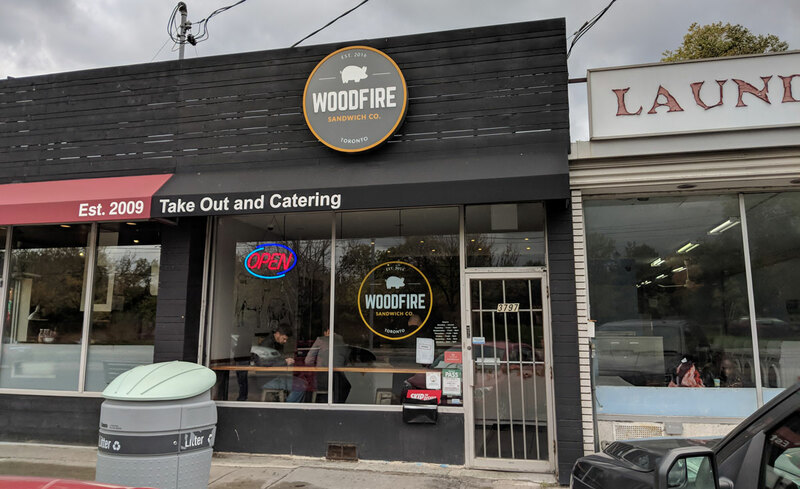 It was warm and fresh, with a pronounced crispiness on its exterior and a perfect amount of substance on its interior. The generous amount of tasty red bean filling complimented it perfectly. 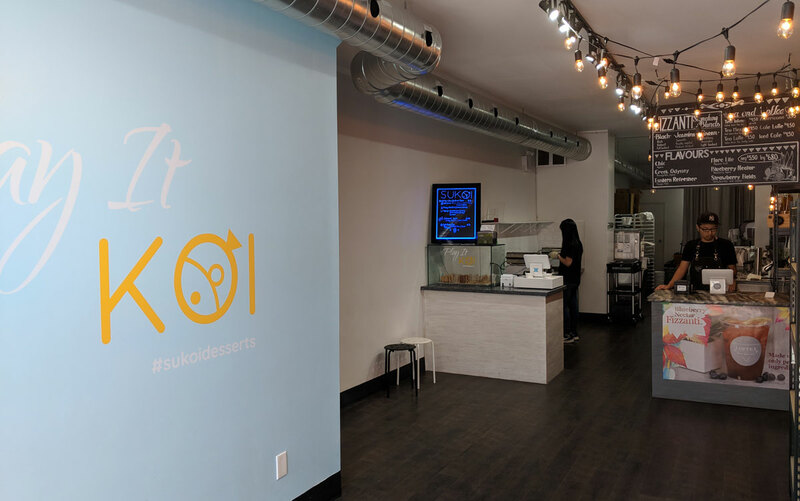 Overall it’s a tasty enough dessert, but the middling ice cream mostly just gets in the way of the delicious taiyaki, so… I guess it kinda is Instagram bait. Oh well. After essentially accusing Sweet Jesus of being empty Instagram-bait, I recently came to the realization that it’s probably a bit better than I’ve been giving it credit for. 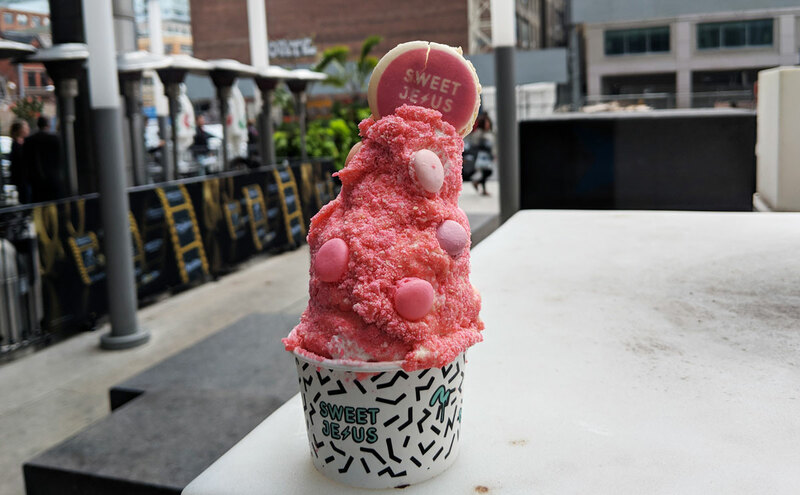 Yes, a heavy emphasis is placed on making their creations as visually pleasing as possible, but the soft serve is nice and creamy, and the flavours are usually satisfying. That being said? Their new limited edition TIFF-inspired creation, the Marie Antoinette, is empty Instagram-bait. 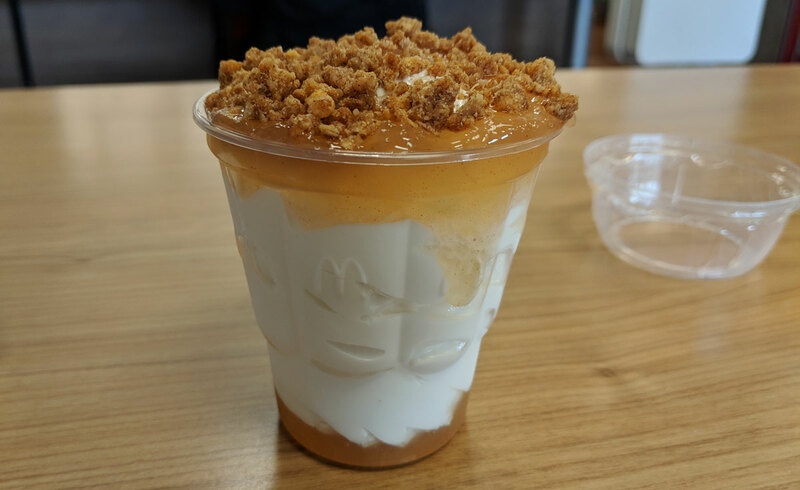 It’s a collaboration with Nadege, and it features vanilla soft serve, maple sauce, macaron crumbs, mini macarons, and a full-sized macaron on top. The full macaron is actually the best thing about it. It has a nice, lightly crispy texture, a very subtle chewiness, and a pleasant vanilla bean flavour that isn’t too sweet. It’s a quality macaron. Otherwise, the rest basically just tastes like plain vanilla ice cream. The mini macarons are one-note crunchy and don’t really taste like anything, the maple sauce features shockingly little maple syrup flavour (I never would have guessed it was supposed to be maple if I hadn’t known), and the macaron crumbs just add a grainy texture. The vanilla ice cream is tasty enough, so I certainly didn’t dislike eating it, but there isn’t a whole lot there.